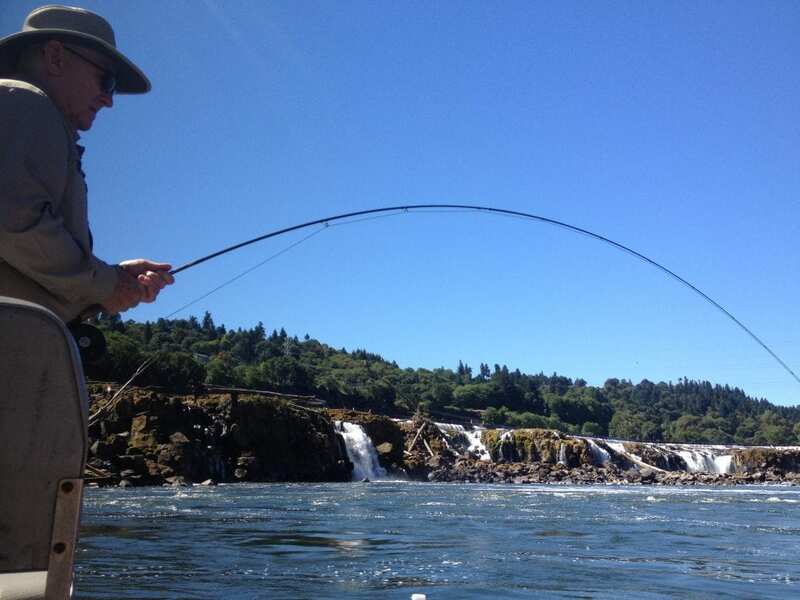 Fly fishing Portland, OR the month of June has been excellent. We have been fly fishing on what is the worlds largest run of American Shad. These fish run up the Columbia and Willamette Rivers through the city of Portland and Oregon City in the month of June in staggering numbers. This years run has been no exception for numbers racking up over 5.8 million fish counted at Bonneville dam. Catching fish in this fishery is not a problem and even beginners can experience amazing fishing results on these hard fighting fish that range from 1-5 pounds. Our local knowledge of this fishery gives you the best results! If you have never tried this fishery or are just visiting the area, try one of our 4 hour Shad trips- you’ll love it! We are often on the water so please send us an email or leave a message.